Are There Enough Non-Caucasians With Afib To Help With This Research? Our goal at StopAfib.org has been to help drive the next generation of patient-centered afib research. Here is an opportunity for you to help with this mission. For many years, we have been helping Dr. Patrick Ellinor and his research group at Harvard Medical School and at the Broad Institute in Boston to find families with a large number of members having afib. Here is our interview several years ago with Dr. Ellinor about his large-scale studies to identify genes related to afib. Dr. Ellinor’s amazing genetic research has revolutionized what we know about the genetics of afib and he will share that with us at our 2016 Afib Patient Conference. You will have a chance to meet him and learn from him there. The data that has been collected thus far has mostly been from individuals of European descent / whites. There has been relatively little data from other races and ethnicities, and we want to help change that. This is where you can possibly help. We are seeking non-Caucasians with afib in order to determine if it is feasible to study genetic differences by race and ethnicity. To determine if there are enough people who could help us with this study, we are asking those who might qualify to answer a brief survey. If you belong to one of the following groups and have afib, we could use your help by filling out this survey (takes a minute or less). Please pass this along to those who might qualify and be interested in helping. If the responses to the survey show that there is enough interest, we would partner with Dr. Ellinor’s group in a patient-driven study of afib genetics among non-Caucasians. Participants would sign up via email and sign a permission slip or consent form online. You would then provide some basic information about your own afib history and receive a package in the mail to provide a saliva/spit sample. When the samples arrive back in the lab, DNA would be extracted and the genetic studies would be performed. All data would remain confidential. There would be no charge to you, and you would be able to follow the study progress via regular updates on the StopAfib.org web site and the study website. Right now, we are trying to get a sense of how many people would be interested in participating, so there is no commitment necessary at this time. 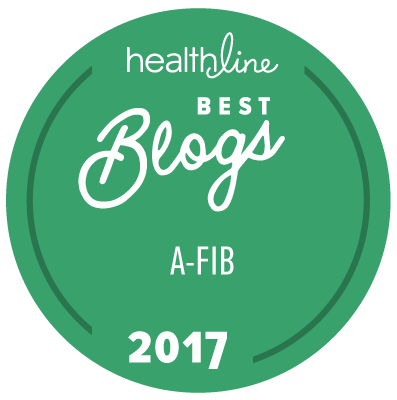 Thank you for your help so that we can learn more about the causes of afib!